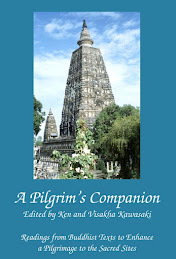 dhamma musings: What Makes A Monk - Or A Nun? 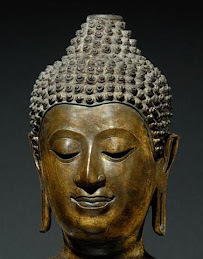 Friends, acquaintances and perhaps a few people who just want to annoy me, keep sending me opinions, comments and ‘updates’ related to the Ajahn Braham/bhikkhuni affair. Even the monks of Wat Pah Pong have sent me an ‘Official Statement’. Perusing some of this material (I didn’t have time to read it all) I noticed that nearly all of it points to something very characteristic of Theravada – its obsession with legal minutiae. Most of the arguments and justifications that I’ve read for ordaining or for not ordaining nuns, involve complex interpretations of particular Vinaya rules and procedures. I’ve often thought that your archetypical Theravadin monks, especially the Vinaya fundamentalists, were American lawyers in their former lives or that they will become such in their next ones. Here’s an interesting fact for you. In Thailand it is illegal to wear a monk’s robe if you have not been properly ordained. The only people who do this are those who think (correctly as it happens) that they can more easily solicit money or cigarettes from people or sell them magical amulets if they are thought to be a monk. If the police stop someone they suspect of being a fake monk and he cannot produce his monk’s ID card, they’ll arrest him. But here’s the interesting part. If he can show that he has an ID card and that he is therefore a ‘real’ monk, they'll bow to him and let him go to continue to trying to cadge money off people. Undergoing the legally valid ordination makes you a monk (or nun). Whether you’re genuinely committed to the spiritual life or not, whether you’re learned or not, whether you spend all day sleeping or meditating, doesn’t seem to interest most people, even the Eccesiastical Council. Just as clothes make the man, the ceremony makes the monk (or nun). These verses, attributed to the Buddha, must have been inserted into the Tipitaka at a later date. Although adorned in fine clothes if he cultivates equanimity and is calm, disciplined, restrained, living the holy life, harmless to all living beings, he is a priest, he is an ascetic, he is a bhikkhu. Dhammapada 142. 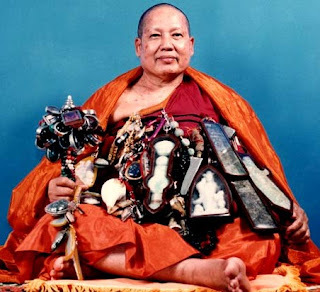 The above picture is of Lungpo Jumnean, one of the most esteemed of Thailand’s many amulet-selling monks. His amulets, which can cost up to $5000, are bigger than most and therefore more ‘potent’. Dear old Lungpo has become very wealthy through his amulet business. But its quite alright because he has been properly ordained - unlike those disgraceful nuns. A good Saturday to you Bhante! Makes us exclaim, what is the world coming to? Could we least we can say it is not a myth that in olden times the Sangha were better disciplined? Parts of the Cakkavatti Sutta where the Buddha reinterprets old rituals to represent more meaningful and wholesome ideas come to mind. Does the Buddha talk about hypocrisy as did Jesus? 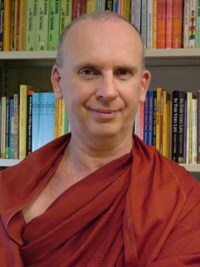 Bhante, grateful to you for pointing out that the cloth and the ceremony do not make a monk or a nun. Rather it is how they live and behave in accordance with the teaching of the Buddha that matters. So many lay devotees are unaware of this. E. W. Hutchinson in his article 'Sacred lmages in Chiengmai' gives an account of the Tamnān p.ra p'ut'tarup Se Tang Kamanī. of five trees to rest after his pilgrimage. Khun Sen long brought five maidens and offered them with himself as slaves, but our Lord refused the offer and preached to him that be should enter his niece of seven years old as a nun. Our Lord prophesied that 837 years after his death a city named Chimai would be founded there. He then returned to Wat Pa Tan. east or Mangrai's first capital, Vieng Kum Kām." 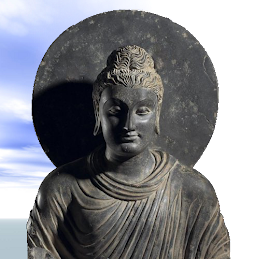 I think there should be examples in the suttas where the buddha often points out faults and wrongdoings. Maybe some of the suttas dealing with Brahmanical practices of that time might deal with hypocrisy. Perhaps Bhante might be familiar with those suttas? 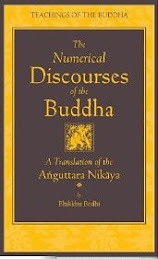 The Cunda Sutta has a reference for "housholders" to discern the 3 kinds of noble monks from those "going around in disguise". Interestingly it seems to include any "one who lives by the path" in the third kind of noble monk. The military government changed the name of the country in 1989 the way it does most things, without a plebiscite or any consultation with the people. Myanmar actually refers to the dominate ethnic group rather than the country itself and thus is not recognized or used by the country’s many ethnic minorities. The opposition do not recognize the new name either. I prefer to use the more traditional and inclusive name, Burma. ah-hem .... so the nun ordination or non ordination is about complex and divergent interpretations of the Vinaya. Poor suffering women that you have to be subjected to such severe and one-sided rules to the point of discrimination by half-baked Enlightened. If going by rules and protocols make one a 'proper' monk or nun, then computers should be ordained. Does the clothe makes the monk/nun or no clothe does an Emperor make? This is very good pain indeed. Did I mention that I'm Thai but no, I have no plan to annoy you. Are there any great Thai monks these days in Thailand? Yes, but unfortunately they are outnumbered by those who never take the Buddha's teaching to heart. Well I'm here just to share how a Thai like me feels about A. Brahm expulsion. Surely a rule has no heart of its own, but the person who applies it has the choice to do it with or without compassion. The effort to stop the ordination of bikkuni in Thailand is so forceful. For us Thai, it is more of the old political game. There are two ways of doing things in Thailand, first, you would be told that you were not allowed to do something just because it is against the Vinaya, second they will tell you that they can do something according to the Vinaya. You have to be Thai to buy into this. It surprises me though that suddenly so many western monks apart from A. Brahm buy into it as well! I do believe that A. Chah would love to see his followers investigate the issue beyond the boundary of Vinaya rather than carry the Vinaya or the A. Chah tag on their shoulders for granted. I also hope the western sangha could come to see that they are not Thai and they need not to be, in order to do better if they choose to. This is something A. Chah must have foreseen long time ago otherwise he wouldn't have established Wat Pah Nanachat then. Unfortunately for A. Chah's vision to materialize there needs to be more than one brave monk to finish what has been prepared long time ago for them by their wise teacher. It sure needs a handful of wise western monks to join force. Let us hope the western sangha will soon realize their potential like their teacher did. And yes maybe one day the Thais can benefit from their western friends. Is this Lungpo the same guy as Acahn Jumnean Seelasetho, who visited Köbenhavn Sunnataram Vihara with two other monks sometime around 1995 ?? ( In Denmark). Venerable Ajahn Jumnean Seelasetho was carrying under his robe a vest that weighed 40 kg, I understood that he was carrying some 40 gold bullions, 1kg each. Maybe I was wrong as his heavy amulets seem to be of iron and not of gold! Maybe he is still wearing his vest of 40 kg of gold bullions (or is that iron? ), who knows ?? The society has changed from the days of diverse small states on Indian subcontinent 2500 years ago. This is that you should see the institution of begging as corresponding to the modern student loans by which the youth can finance their studies under famous teachers in modern institutes of learning. Bhante, thank you for your most candid comment although it may not be palatable for some 'Theravada Buddhists'. We, as Buddhists, should set an example to the world by being able to question our own practices and traditions and discard the ones that deviate from the noble eightfold path.